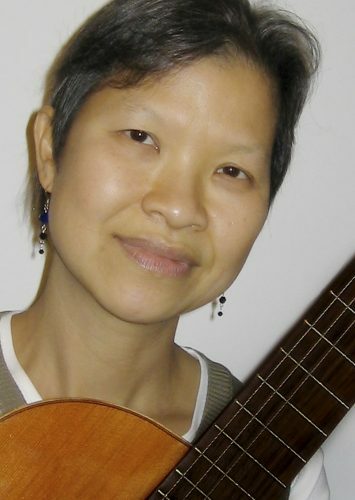 Hanh Nguyen has been a faculty member of the Vancouver Academy of Music since 1991. She also teaches the classical guitar program at the Vancouver Community College. She holds performance diplomas from Vancouver Community College and Western Washington University. She has won numerous competitions, including the first annual Northwest Guitar Competition. She has studied in master classes with Leo Brouwer, Pepe Romero, David Russell, Manuel Barrueco and The Los Angeles Guitar Quartet. She has performed throughout Canada, United States and Spain, as well as teaching master classes and adjudicating music festivals. She also released a solo album “Amor del Mundo” in 2005.